Who wrote the books in the Bible and how did they end up together? How reliable is the Bible? What languages were used to write the books of the Bible? 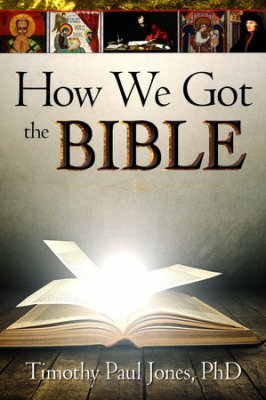 Where did the word “Bible” come from? Bible Gateway interviewed Timothy Paul Jones (@DrTimothyPJones) about his colorful, 2016 Christian Book Award-winning book, How We Got the Bible (Rose Publishing, 2015). See the 2016 Christian Book Award Winners in the Bible Gateway Store. Congratulations on winning the 2016 Christian Book Award in the Bible Reference category! Dr. Timothy Paul Jones: Thank you! The designers and editors at Rose Publishing did such amazing work, turning this content into such a colorful and user-friendly resource. I’m so thankful for the editors and graphic designers who put so many hours into this project. In keeping with the title, how did we get the Bible? Dr. Timothy Paul Jones: God inspired not merely the authors but the very words of the biblical text. These words were recognized by God’s people as authoritative and preserved for centuries in copies made by hand. 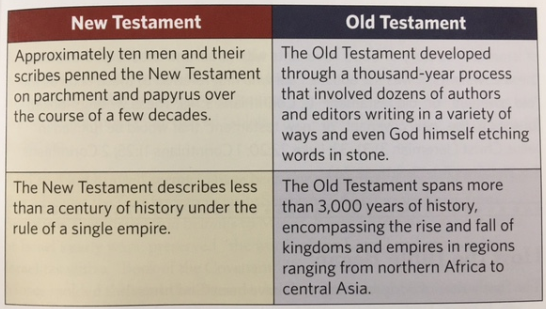 These copies were used to publish Old and New Testaments in the original languages, and these texts are being translated around the globe today into thousands of different languages. One simple way to summarize how the Bible came to us is to say that the Bible is inerrant in its inspiration, sufficient in its preservation, and dependent on the Spirit’s illumination and sound interpretation for its application. What languages were used to write the books of the Bible? Dr. Timothy Paul Jones: The New Testament was written in the koine—or “common”—dialect of Greek. The Old Testament was mostly written in Hebrew, although a few texts in Ezra, Jeremiah, and Daniel were written in Aramaic. Early on, the Israelites would have written in an older form of Hebrew that we now call “paleo-Hebrew.” Sometime after the sixth century BC, Jewish scribes began using a “square-script” alphabet that’s familiar to us today. You begin the book by saying we need to explore not only what the Bible is made of but also what the Bible is. Briefly explain what you mean. Dr. Timothy Paul Jones: The Bible is inspired, inerrant and infallible, and sufficient. To say that the text is inspired means it is “God-breathed.” Even though the text was penned by dozens of human authors in their own styles and ways, God superintended the very words of the text. Since the Bible comes from a God who never lies, the Bible never lies. The words “inerrant” and “infallible” highlight that simple truth. Of course, this doesn’t mean that we should do everything that the Bible describes! In many cases, the inerrancy of Scripture calls us to recognize that the Bible rightly records what happened even when what happened wasn’t right. The Bible is “sufficient” in two senses: the text has been copied with sufficient accuracy to preserve God’s truth and the words of Scripture provide sufficient information for us to follow Jesus faithfully. Taken together, what all of this means is that the Bible is a trustworthy and Spirit-inspired testimony of the revelation of God’s glory in the Lord Jesus Christ. Dr. Timothy Paul Jones: The English word “Bible” comes from the Latin word biblia (“books”), which comes from the Greek word, Byblos. The Greek Byblos originally described papyrus—an ancient writing material made from reeds that grow along the Nile River in Egypt. Why are there large amounts of repetition in the Bible? Dr. Timothy Paul Jones: That’s one of the places where we see clearly that God didn’t dictate the Bible in a way that disregarded human language or culture; God worked with human beings within their contexts to inspire his Word. Some repetitions occur because the same story has come to us from different sources that tell the same truth in different ways—the books of 1 and 2 Samuel, 1 and 2 Kings, and 1 and 2 Chronicles, for example. The books of Chronicles seem to be pulled together at a time after Judah’s return from exile when hope for a Messiah has grown stronger, and you can see this distinct emphasis when you compare the books of Chronicles with Samuel and Kings. Other times, you see repetition because the author recounted an event broadly then zoomed in to focus on one particular aspect of the event. In the first couple of chapters of Genesis, for example, the author first gave the big picture of God’s work of creation, then he retold the creation of man and woman in a detailed and focused way to emphasize humanity as the crown jewel of God’s creation. What is the Apocrypha and why is it not included in Protestant Bibles? Some later theologians came to a different conclusion about these books and treated them as authoritative Scripture; the Roman Catholic church and, in a slightly different way, the Orthodox church still regard these writings as an authoritative part of the Old Testament. Many Christians, however, have concluded that the apocryphal writings were not God-breathed for three simple reasons: (1) The authors of the New Testament never quoted the Apocrypha as Scripture. (2) The Jewish people never recognized the Apocrypha as Scripture. (3) The text Jesus received as the revelation of his Father’s work with Israel did not include the Apocrypha. We know this because Jesus described his Bible as a three-part canon of “the Law of Moses, the Prophets, and the Psalms” (Luke 24:44); this tripartite division described the Hebrew and Aramaic Old Testament, not the Greek version that included the Apocrypha. What is the definition of canon? Dr. Timothy Paul Jones: The meaning of the word canon as we know it today can be traced back to how the Greeks used a certain reed, known as a kanon. The Greeks cut these reeds into specific lengths and used them as measuring sticks. As a result, a kanon became a tool that set standards and measured limits, and the word kanon came to imply an infallible standard. In Galatians 6:16, Paul used this term to signify the all-sufficiency of Christ’s sacrifice as God’s standard—God’s kanon—for life and faith. By the fourth century AD, the meaning of the word “canon” had expanded to describe writings that were recognized as the infallible standard for God’s people. Now, this doesn’t mean that there was no canon of Scripture prior to the fourth century! Before that time, Christians used other phrases to describe the idea of a list of authoritative books. For example, some Christians referred to authoritative texts as those that were “read publicly in the church” to distinguish them from writings that were read privately for the purpose of personal inspiration and devotion. How were the decisions made to include certain books in the canon and exclude others from it, such as the “lost Gospels”? Dr. Timothy Paul Jones: When it comes to the New Testament and the supposed “lost Gospels,” the basic criterion for inclusion or exclusion was whether or not the document could be traced back to an apostolic eyewitness of the risen Lord Jesus or to close associates of these eyewitnesses. The so-called “lost Gospels” were never received as authoritative because they did not include reliable, eyewitness testimony about Jesus; they couldn’t be reliably linked to anyone who had walked and talked with Jesus. Why is the canon of the Bible considered closed and no more books have been added over the centuries? Dr. Timothy Paul Jones: Once God’s promises were fulfilled in Jesus and the eyewitnesses of this fulfillment died, no further texts could be considered authoritative for God’s people. Why do modern Bible translators have an advantage over their centuries-old counterparts when it comes to earliest manuscripts? Dr. Timothy Paul Jones: The simplest answer to this question is that we now have access to far more manuscripts. When Erasmus collated his edition of the Greek New Testament, for example, he only had access to seven medieval Greek manuscripts. However, by the end of the 20th century, scholars had access to well over 5,000 Greek manuscripts in whole or in part, with several portions dating to the 2nd century AD. Where did Bible chapters and verses come from? Dr. Timothy Paul Jones: The use of numbers to locate verses was made possible through the work of two men whose names you’ve probably never heard. The first is the Archbishop of Canterbury Stephen Langton who, in the early 13th century, added chapter numbers to the Latin Vulgate. The second individual is Robertus Stephanus, who divided the chapters into verses in his Greek New Testament. He did this while on a trip from Paris to Lyon and back in 1551. Later, people joked that, every time his horse stepped in a rut, Stephanus marked a new verse. In truth, he probably divided the verses at stops all along the way, not while riding his horse! How do you respond to those who say the Bible is inconsistent and unreliable? Dr. Timothy Paul Jones: The testimonies in the New Testament are traceable to eyewitnesses of the risen Lord Jesus, and there’s robust evidence for the reliability of their claims. Jesus believed the Old Testament, and I accept the truth of his testimony on the basis of his resurrection from the dead. What’s your favorite passage of the Bible and why? Dr. Timothy Paul Jones: God has used Jeremiah 29 powerfully in my life, and that chapter remains one of my favorites still today. It’s a call to seek the good of the place where we are, even if it’s a painful and difficult place. Early in my ministry, I served almost six years in a tiny church that was extremely difficult for my wife and me; God used this text to call me to love the people and the place where I was, instead of constantly longing for something different. Your book is packed with colorful charts and illustrations. Who did you envision reading your book when you were writing it? Dr. Timothy Paul Jones: My passion has always been to make Christian history and Bible apologetics accessible to every believer in Jesus Christ, not just people with degrees in Bible or theology. 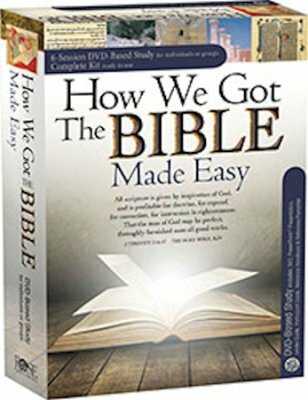 This book and video series are for anyone who wonders how we got the Bible and whether the Bible is reliable, from teenagers to senior citizens and anyone in between. Dr. Timothy Paul Jones: Bible Gateway is my go-to app and website for Bible study. My favorite parts of Bible Gateway are the SBL Greek New Testament and the commentaries and Bible study resources from IVP. 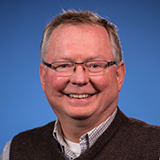 Bio: Timothy Paul Jones serves as the C. Edwin Gheens Professor of Christian Ministry and as associate vice president at The Southern Baptist Theological Seminary. Dr. Jones has authored or coauthored more than a dozen books in the fields of family ministry and apologetics, including The God Who Goes before You: A Biblical and Theological Vision for Leadership, Praying Like the Jew, Jesus: Recovering the Ancient Roots of New Testament Prayer, and Practical Family Ministry: A Collection of Ideas for Your Church. The son of a rural pastor, Dr. Jones earned his bachelor of arts degree in biblical studies at Manhattan Christian College. He also holds the Master of Divinity degree from Midwestern Baptist Theological Seminary and the Doctor of Philosophy degree from The Southern Baptist Theological Seminary. 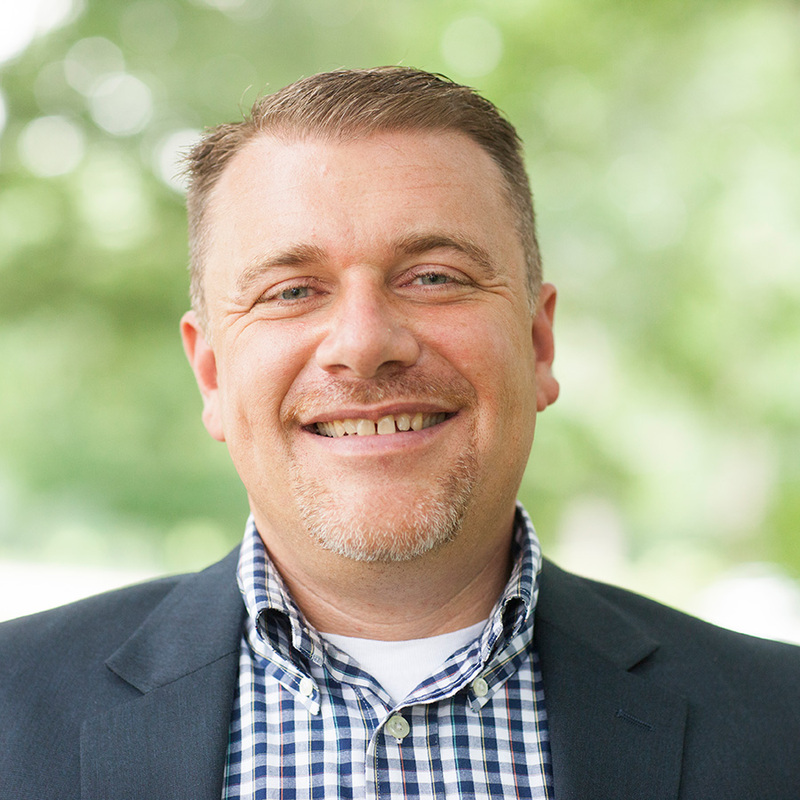 He’s taught biblical languages at Midwestern Baptist Theological Seminary and at Oklahoma Baptist University, as well as lecturing on the reliability of the New Testament Gospels at the University of North Carolina (Chapel Hill) at forums sponsored by InterVarsity Christian Fellowship.